Summer seemed to arrive here in Nashville in full force this past Thursday, and upon looking at my calendar I realized we’re already 4 months into the year 2009. Things have been going well for me here in Tennessee – I’ve become quite busy with teaching and gigging. 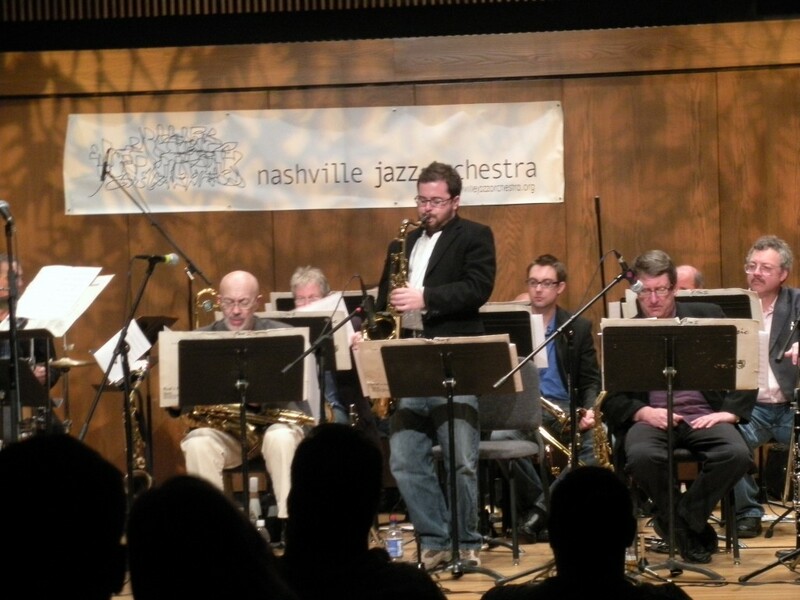 I got to play two more concerts with the Nashville Jazz Orchestra: one downtown at the Nashville Convention Center where I covered alto saxophone and flute, and then tenor saxophone and clarinet at this past Thursday night’s “Writer’s Night” at the Blair School of Music. 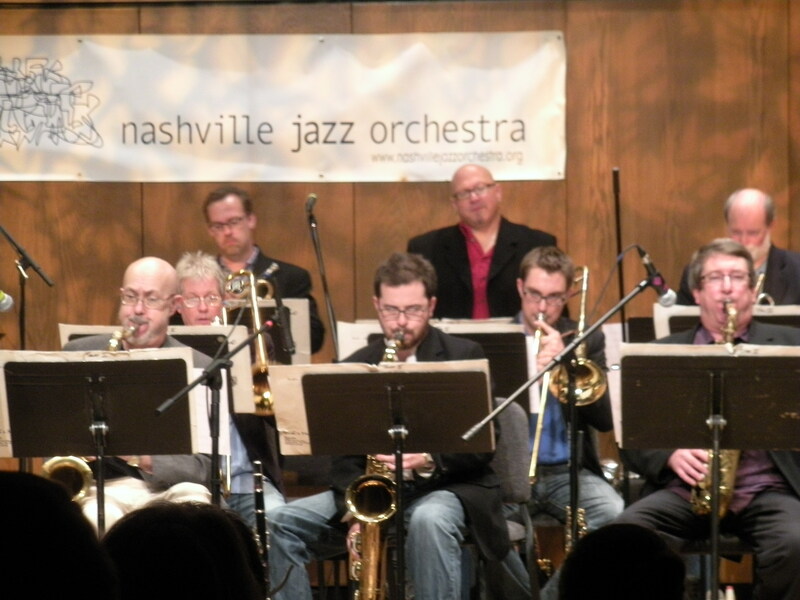 The saxophone section had some serious shredding to do in Bruce Dudley’s arrangement of Parisian Thoroughfare. …and I got a chance to wail on the debut of a Jim Williamson tune. Spent a little time doing studio work. I laid down some oboe and clarinet tracks for the hip local band The New Whole Usuals. I also recorded a couple of tunes with a jazz quartet for the Generations Jazz Competition. We didn’t make it to the finals, but an ensemble of my friends Ken Fowser, Behn Gillece, and Adam Cote did. I was proud of the work my quartet did though – below I posted our version of an original tune of mine. This past month also provided me with a couple surprise last-minute gigs: at Sambuca in the quartet of Ralph Pace Jr, as well as provide horn support to local heart throbs Pico versus the Island Trees at the Mercy Lounge. I have an array of events coming up in May as well. On Thursday the 7th I’ll be joining a slew of Nashville’s most talented players in a group titled the Nashville Writers Ensemble at Nashville’s Community Music School: W.O. Smith. The ensemble will feature one of my original tunes and includes Bob Mater, Joe Davidian, and Oscar Utterstrom, among others. On Sunday May 10th I’ll be leading the Cafe CoCo Jazz Jam Session at 4:30. If you’re around be sure to stop by and bring an instrument. I’ve also got some dates coming up with blues man Justin Conn, and even a performance with an ABBA tribute band. Did I mention that it’s wedding season? I’ve been playing some events with the Pat Patrick Bands this month, and next month I will be attending the weddings of two old friends. Got your email and thanks for the update, sounds like you’re doing great! Keep up the hard work.